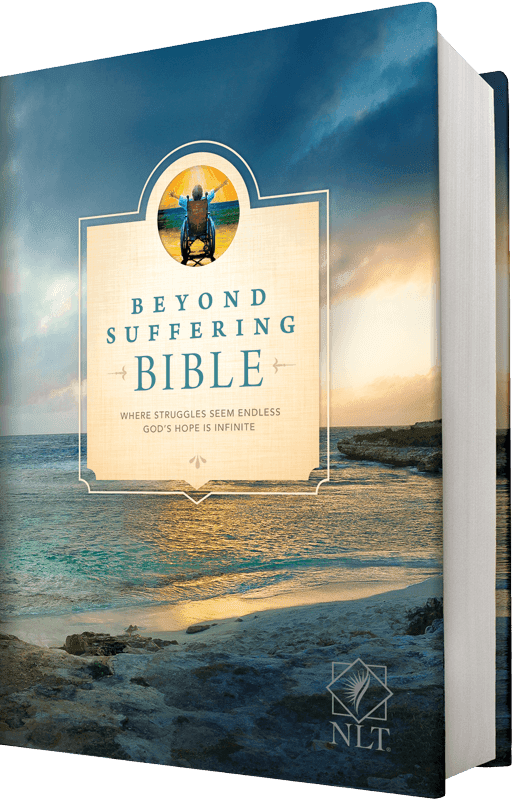 BEYOND SUFFERING BIBLE. This New Living Translation (NLT) is available Joni and Friends International Ministries. For many years, Joni Eareckson Tada has been a trusted personal friend of mine. She has shepherded this critical important Bible to its completion. I highly recommend it to people whose hearts ache from the suffering of a loved-one or themselves. 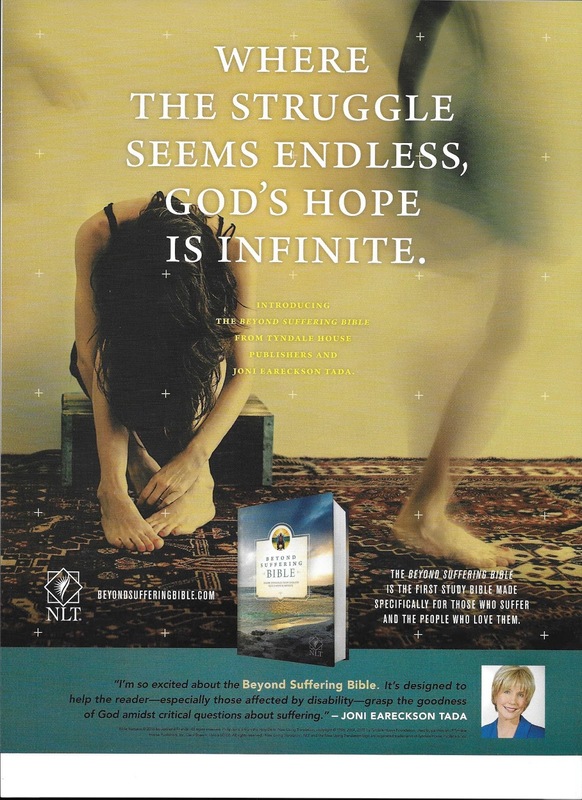 Joni comments: "I'm so excited about the Beyond Suffering Bible. It's designed to help the reader -- especially those affected by disability -- grasp the goodness of god amidst critically important questions about suffering." Joni knows a thing or two about suffering. She has lived with quadriplegia for nearly 50 years. She has had also had a serious bout cancer. 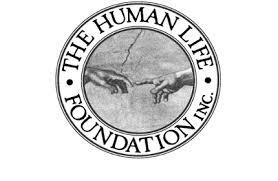 Despite these trials Joni has glorified God not despite disability rather because of it through her international Christian ministry Joni and Friends based out of Agoura Hills, California. 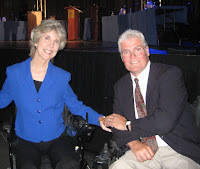 Joni Eareckson Tada has risen above profound disability to be a blessing to millions of people.